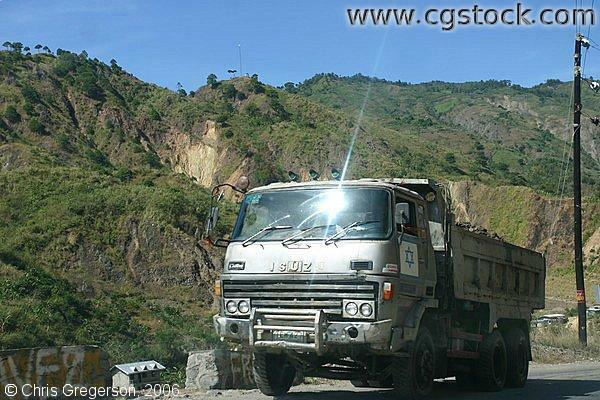 This dump truck is a ten-wheeler Isuzu coming from Baguio where mining activities are done. It has the flag of Israel with the prominent Star of David on its left door. At the background is the mountain range view of while passing Kennon Road.